This lesson is too much fun! 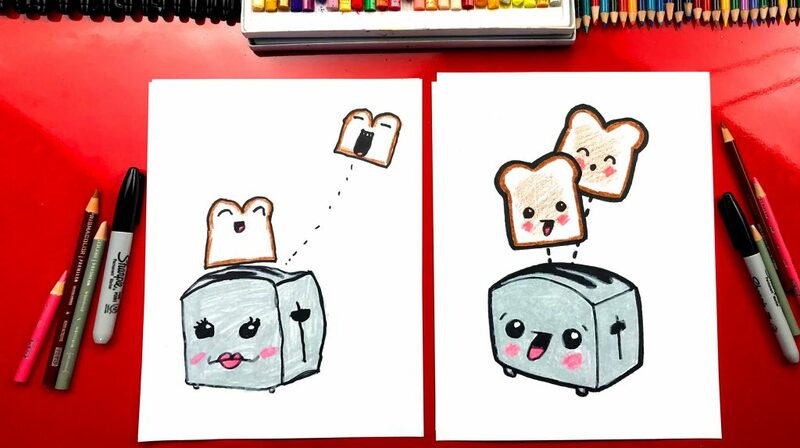 Follow along with us and learn how to draw funny toast. For this lesson’s challenge, finish your drawing by adding your kitchen counter and other breakfast foods. Art Supplies marker paper colored pencils brown grey pink *Learn more about the specific art supplies we used in this lesson.